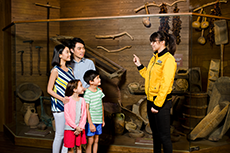 Come to Noah's Ark Hong Kong to journey back in time with your family. Indulge in classic tasty treats and retro games and experience a fun-filled time travel adventure where old and new come together in a new twist! 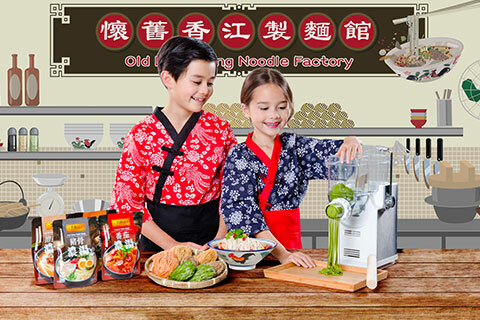 Visit our factory and being trained as a Noodle Maker, you will have hands on experience in making dough and turning it into cut noodles. Pairing your handmade noodles with one of the signature Lee Kum Kee soups, your own soup noodle is proudly presented in a modern style. Have you ever wondered how ‘Put Chai Ko’ is prepared? 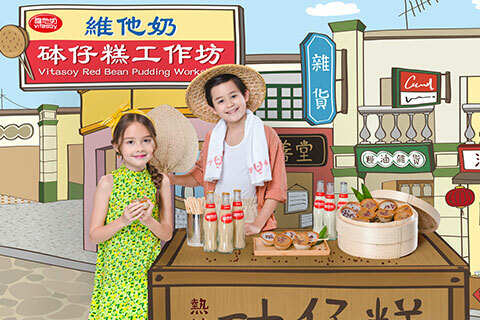 Discover the rich history behind this tasty red bean pudding and learn how to bring a delicious new take on this traditional Hong Kong street snack with Vitasoy. Your taste buds are in for a super wonderful surprise! In this traditional herbal tea workshop, you will learn about the secrets of using natural herbs for good health and create your own delicious healthy goodies to sweeten up your life. 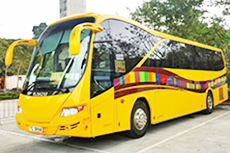 A vintage bus exhibition brings back memories of heritage Hong Kong. 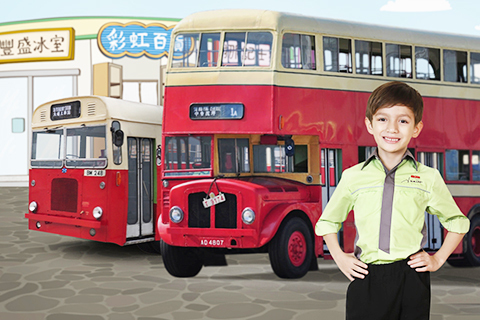 Kids can make-believe as they dress up in bus captain uniforms and take photos in front of the vintage buses. Unleash your creativity with this engaging workshop to design your parents’ childhood Health & Happiness Chess set. Set your own rules and battle your friends with this customized chess game. 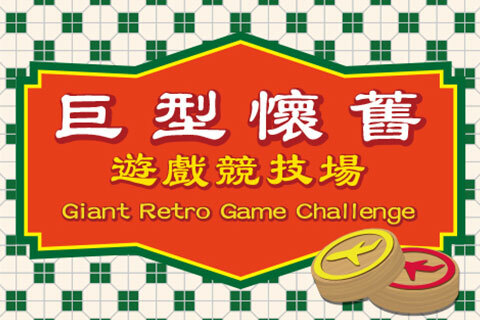 Grab your friends and family and enjoy some giant size classic games together. Cherish your warm childhood memories of Chinese Checkers, Pinball, and Jenga as you introduce them to the next generation. The list of other fun activities available at the park including Fun Fun Animal Ride, Human Bowling Challenge, Driving Adventure for Kids, Zip-line Adventure**, Animal Presentation and more, is going to provide your little one with a whole lot of fun! **Only suitable for children aged 8 or above, and with height 120cm or above. Participants must wear sport shoes. Participants with long hair shall tie their hair before activity starts. The above images are intended to present the creative concept and are for reference only. 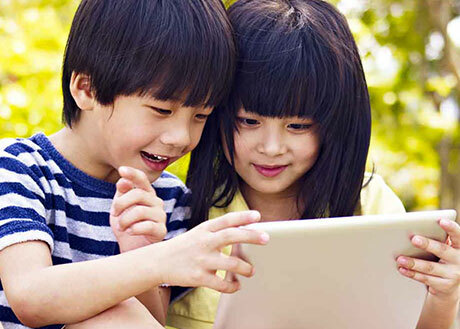 Selected above activities offer Activity Advance Enrollment. 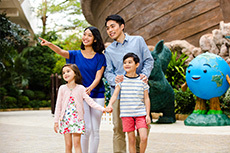 Ticket holders who purchase child’s concession ticket through Noah’s Ark Hong Kong website may enroll in a maximum of ONE selected free activity and ONE selected activity that requires game tickets in advance. (Payment must be settled by credit card at the time of enrollment. )^ Advance enrollment can be made seven days prior to the ticket date, up until 11:59pm on the previous day of the ticket date. 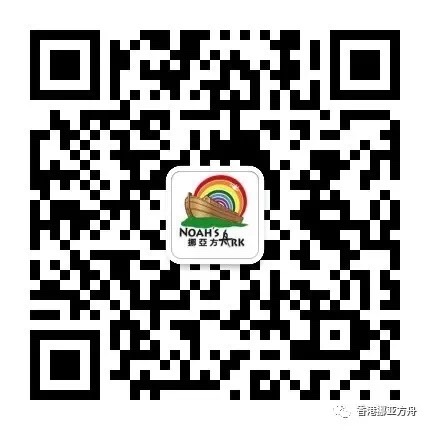 Noah Fun Fun Club Members can log-in to enjoy an extra free activity reservation quota. Limited quota, first come, first served. 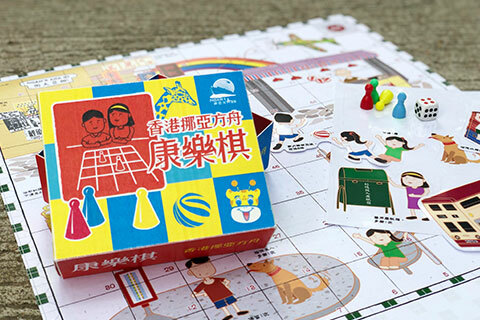 Activities from the "The Modern Time Machine" Easter event offering Activity Advance Enrollment Service: Old Hong Kong Noodle Factory, Vitasoy Red Bean Pudding Workshop, Traditional Herbal Tea Shop, and Chess DIY Workshop. 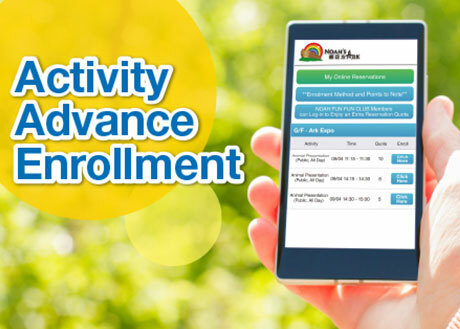 Activity Advance Enrollment is subject to Terms & Conditions. Click Here for more "Activity Advance Enrollment" details. "The Modern Time Machine" Easter event is valid 19 April to 13 May 2019 (Every Sat, Sun and Public Holiday). 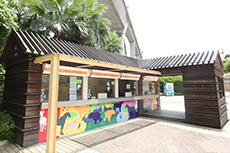 Customers aged 3 - 11 who purchase or redeem Concession Tickets at Noah’s Ark website, Noah’s Ark Main Entrance ticketing office or MOKO Shopping Mall Customer Care Center at Mong Kok will be entitled to an activity passport for identification to join the above activities (game tickets requested for specific activities). ^The activity passport includes 8 complimentary game tickets. 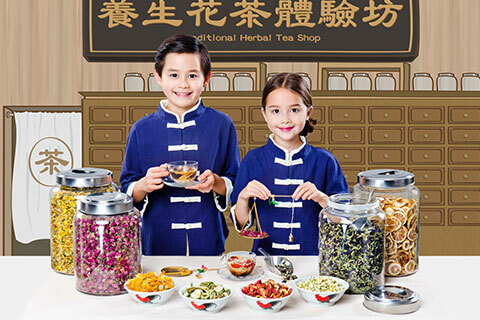 These game tickets can be used for the in-park enrollment to the charged activities including Old Hong Kong Noodle Factory, Vitasoy Red Bean Pudding Workshop, Traditional Herbal Tea Shop, and Chess DIY Workshop. Additional game tickets can be purchased onsite. These game tickets cannot be used for the Activity Advance Enrollment Service. Participants booking activities that require game tickets through the Activity Advance Enrollment Service must settle the charge by credit card at the time of enrollment. 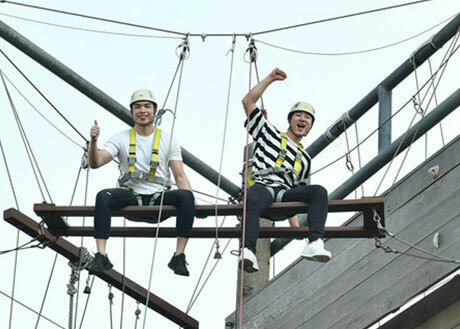 To participate in the above activities, participants must enroll through the “Activity Advance Enrollment” system or at the in-park enrollment counter. Activities can be signed up at the in-park enrollment counter at designated time slots, whereas a number of seats for selected activities will be released online for “Activity Advance Enrollment”. All activities are subject to seat availability and are assigned on a first come, first served basis. Each person in a queue with a Concession Ticket can only reserve one seat for a given activity. 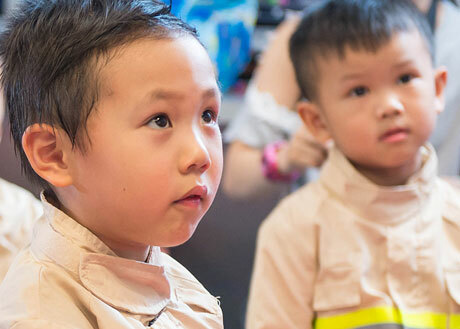 Each NOAH FUN FUN CLUB member can reserve one seat for a child aged 3 - 11 for each activity. Each activity can only be reserved once. 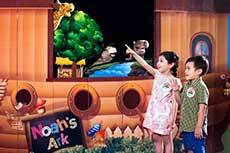 Quotas for NOAH FUN FUN CLUB members are limited and available on a first come, first served basis. Each person in a queue may not reserve a seat in the queue for someone else. Placement of personal belongings to reserve a place in the queue is not allowed. Queue jumping is not acceptable and will not be tolerated. Enrolled participants must show up at the activity venue on time or the reserved seat will be forfeited. The schedule of activities is subject to change without prior notice depending upon weather conditions or special events. Please refer to in-park announcements for any changes. 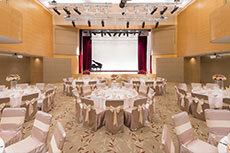 The above activities are mainly conducted in Cantonese. 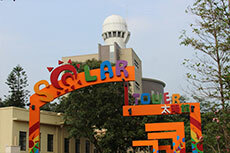 All activities and details are subject to rules and regulations of the park. 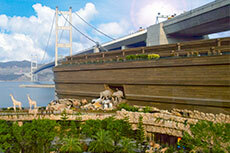 The opening hours of Noah’s Ark Hong Kong are from 10:00 a.m. to 6:00 p.m. every day. Click here for more details. In case of disputes, Ma Wan Park Limited reserves the right for any final decision. 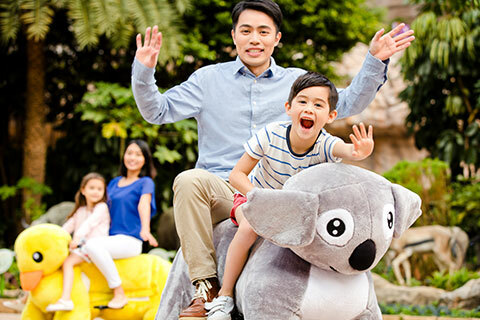 Fun Fun Animal Ride: Children with height 110cm or below must be accompanied by adult; Maximum capacity of each motorized reindeer car: 1 kid and 1 adult; Maximum gross weight of each motorized animal car: 250 pounds.